We would like to welcome Lisa Balbach and introduce her to the NMC community. 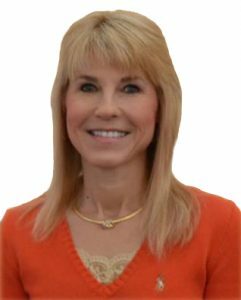 Lisa joined the Business Area this fall as an instructor in the CIT Department and comes to us with five years of experience as a programmer/analyst and over 25 years of teaching experience. She attended the University of Minnesota and received both her BA in Business Administration with a major in MIS and a MS in Business Education. Lisa has taught a wide range of computer courses including programming, office applications, and various animation and computer-related graphics course, bringing a skill set and the experience ready to complement our existing CIT department. Lisa is married and currently lives in Houghton Lake with her husband. They are in the process of selling their home in Houghton Lake and moving into their new home in Traverse City. In fact, the closing is imminent and will not come soon enough as Lisa drives back and forth from Houghton Lake to teach at NMC each day. She also has two children, the youngest just graduating from college. Lisa describes herself as a “fitness fanatic who enjoys working out every day.” She spends her free time working on fine-art photography, digital artwork, animation, and web design/development work. She enjoys participating in art walks and art shows and has work for sale at the Ausable Artisan Village in Grayling. Lisa has taken to NMC nicely and the students have taken to her just as well. If you see Lisa on campus be sure to walk up, introduce yourself, and welcome her to our community. Leave a Reply to Judith Grenkowicz Click here to cancel reply.